The e-Commerce drive has taken over the shopping space. The only setback is the slow delivery system which often kills the excitement of the new purchase. To pick on this lingering, Ecom Express is build-up on the idea of establishing a dedicated logistics solutions provider to take care of the diverse shipping and delivery needs of the e-Commerce sector. “Ecom Express is an end-to-end logistics solutions provider to e-Commerce companies. From our experience, we had realized that the industry needed a specialized service that prompted us to set up the organization. 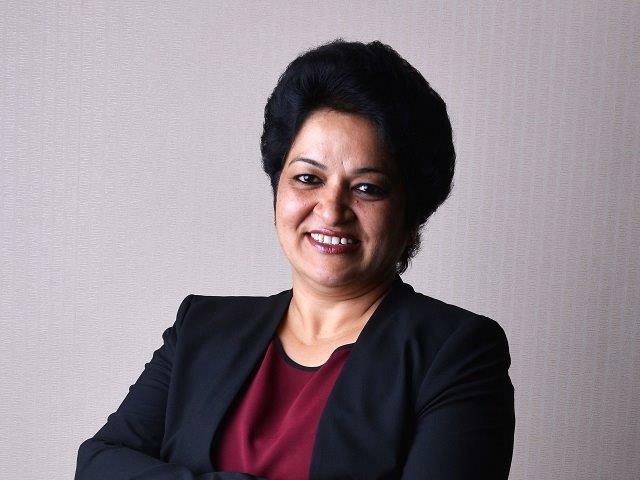 In keeping with the company’s core USP, we also provide fulfillment / warehousing services to sellers”, says Manju Dhawan, Co-Founder, Ecom Express. Earlier, e-Commerce was largely catered to by the traditional courier services providers, up until Ecom entered the race and changed the whole game. Today, Ecom is the single point of contact for multiple services provided to e-Commerce players. I started my career with Blue Dart in 1988 as a Counter Staff in Delhi and moved my way up through the corporate hierarchy to head the largest Customer Service team of the company. With a degree in Business Administration and over 25 years of experience in the Courier and Express Delivery Services Industry, I have led several Customer Care and Services augmentation initiatives in the express industry. I had worked with my Co-Founders, T.A. Krishnan, Sanjeev Saxena and K. Satyanarayana, at Blue Dart for almost 20 years. We had the foresight to understand the clear need for a dedicated player to handle the specialized requirements of the e-commerce industry and we took a decision to leave our long spanning career to build the organization. Firstly, the process of building the infrastructure and network from scratch was a huge challenge. As a logistics solutions provider, ensuring connectivity and convenience across the country was essential but setting up the network was not an easy one. We started operations with only 35 locations and 311 people and gradually launched our services in multiple locations. Today, we have grown into a 15000-person operation with more than 1600 locations in India. Secondly, during the initial phase, establishing ourselves in the market was not easy. We were a new venture and hence did not have any existing customers or portfolio of products. We started operations with only one customer and gradually started targeting (both horizontal and vertical) e-Commerce players and fortunately, our work was appreciated by the customers and the market accepted us pretty well. The services provided by us were differentiated from what the other players were offering and we soon became the preferred partners. The second challenge was around handling large volumes. Once we got the confidence in our operations and were financially stable, there was no looking back. Our current list of customers is manifold compared to what we had when we started in 2013. The journey so far has been great. We started from ground level and built solutions that redefine how e-Commerce logistics operate in India. We strive towards a combination of expansive network, delivery speed and reliability – as our strategy to add value, and most importantly, continue developing solutions as a powerful means of differentiation. Our unmatched network coverage has not only facilitated but driven rapid e-Commerce growth in remote locations. We have not entered into any alliances and have grown organically with more and more customers coming on board and built transaction volumes driven by our expanded reach and network. It also helped us to keep ahead of the curve over the last four plus years registering 2.5x to 3x growth. We have been aggressive on our growth plans and intend to achieve our strategic goal of extending full state coverage to 23 states and cover 80 percent pin codes of the country within the next 2 years. By 2019, we aspire to setup a logistics network spanning the entire length and breadth of the country. Technology based solutions and automation to enable ground/ field operations are at a large scale ramp up mode and we see this being a clear differentiator in offering seamless solutions across the supply chain system. The unwavering focus of the company in reaching out to every corner of the country and the infrastructure being built to service this growth is an indicator that Ecom Express is going to be a cornerstone for the e-commerce industry in India in the times to come. While the overall journey has been unique in its own way, the most memorable moment has to be when we picked up the first load of shipments to be handled by our 35 centres. It was a great moment for me and my fellow co-founders when we received our first load of shipments. All the initial hard work had paid off and that was like a validation for our instinct towards a positive entrepreneurial journey.